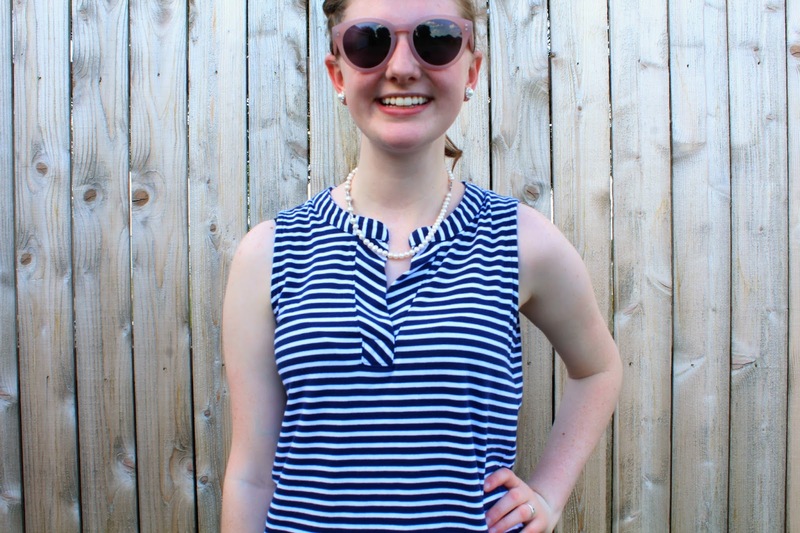 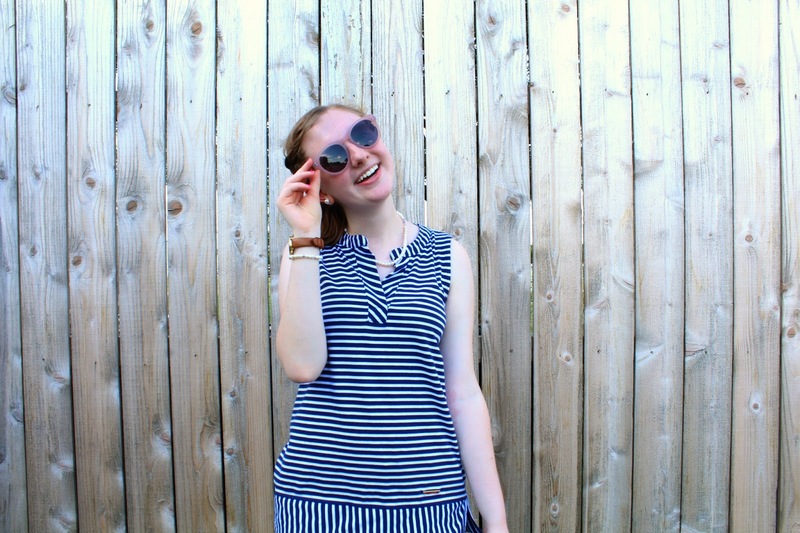 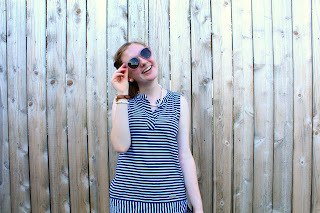 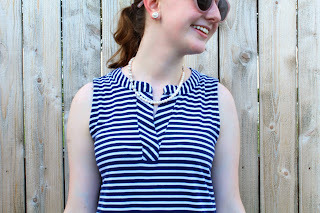 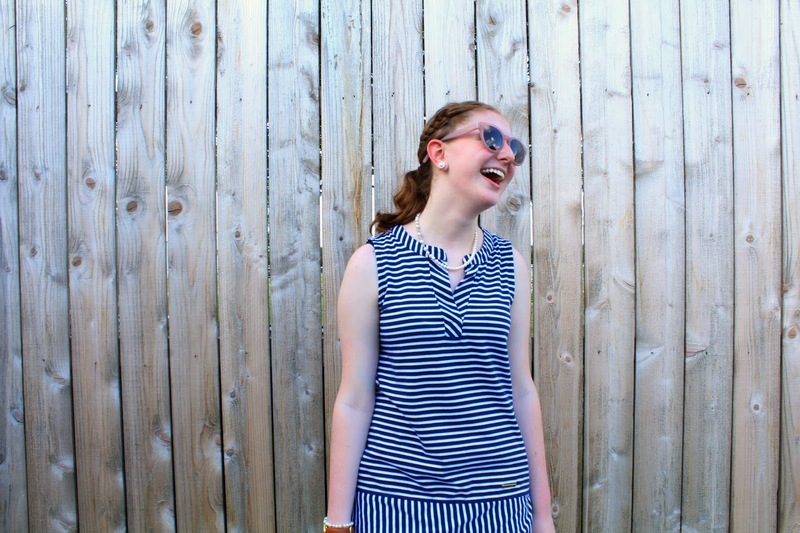 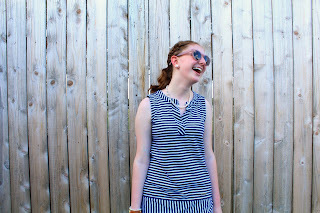 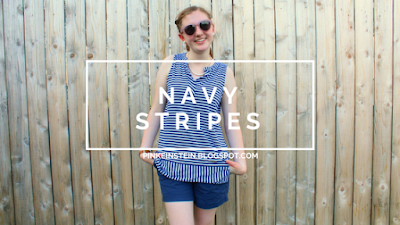 We all know how much I love navy stripes and I have another navy striped OOTD for you today. 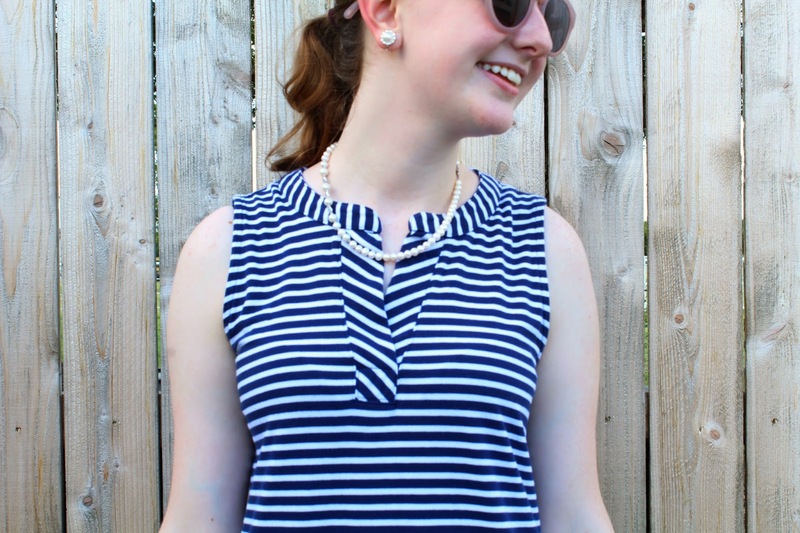 Please excuse my bright red face in these pictures it was 100 degrees outside and I actually thought I was going to melt before I finished taking these pictures. 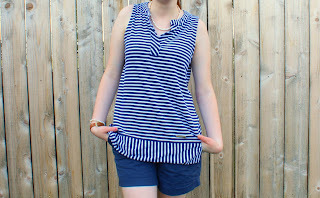 It has been so hot out and this top has been so perfect for running errands. 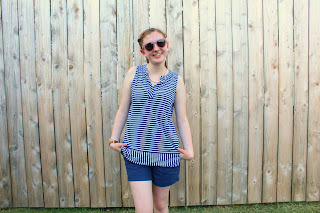 The material is so soft and it keeps you cool. 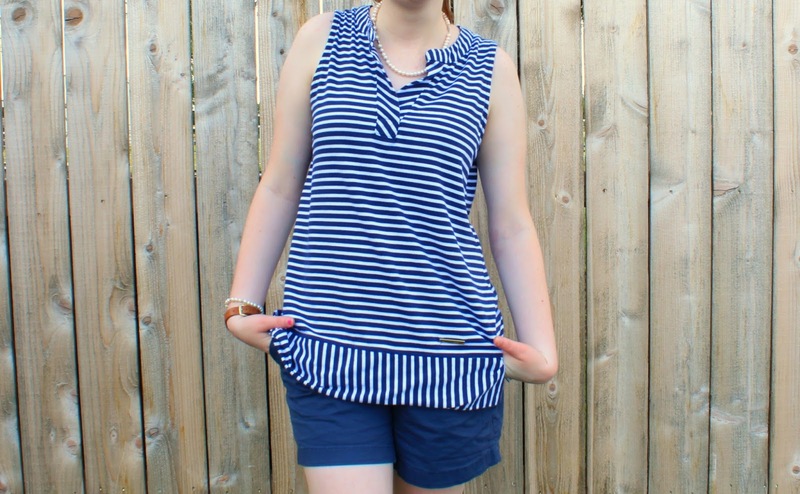 The top is by Jones NY and I purchased it at TJ Maxx for $12. 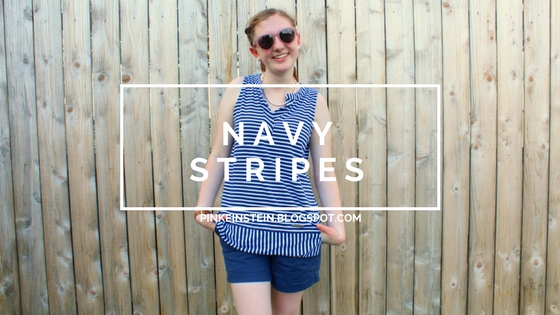 I love that the same navy stripes cover the shirt but are going in different directions to make the top look a little more exciting. 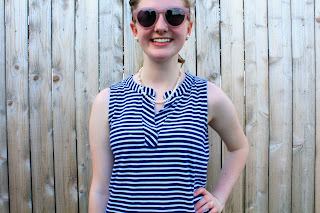 The neck is a really cute v neck and has diagonal stripes on it and the bottom hem has slits on each side of the shirt as well as vertical stripes. 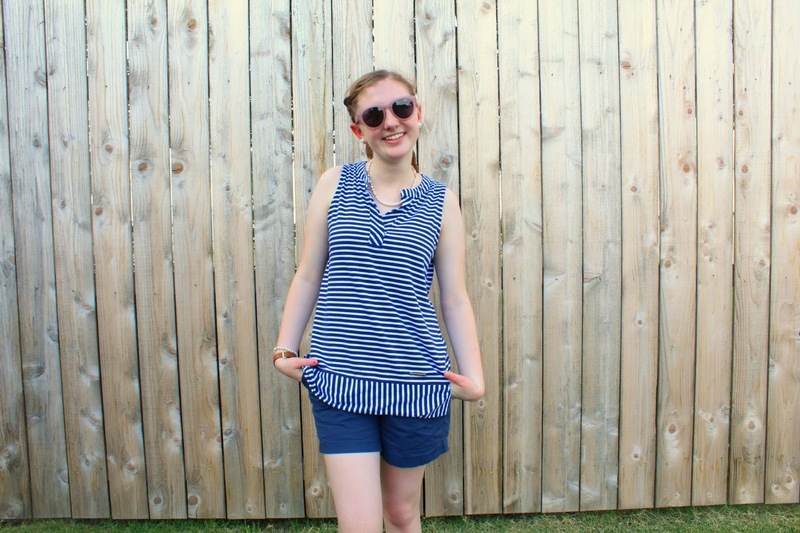 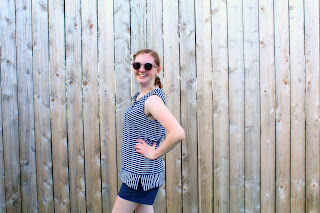 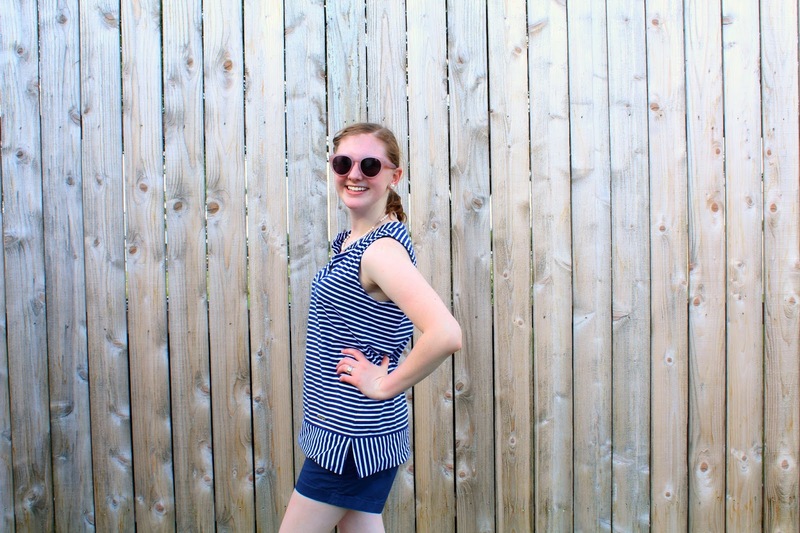 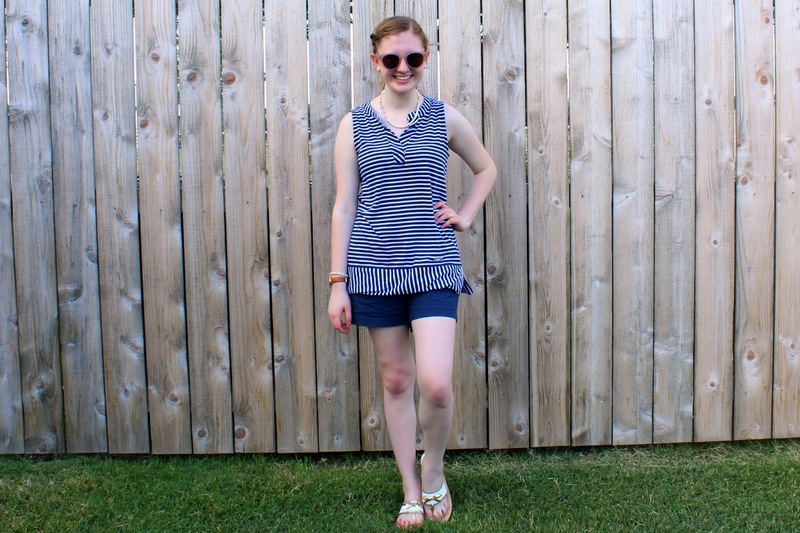 I paired this top with my favorite navy shorts from Old Navy and my new Jacks which I also featured in my coral OOTD post. 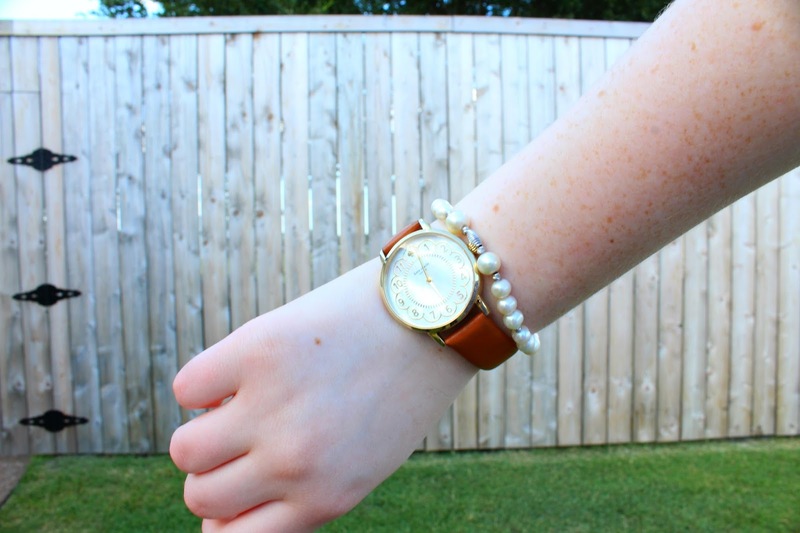 Today's jewelry consists of my pearl set and my Kate Spade watch. 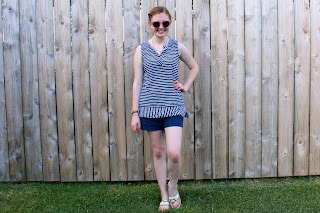 I couldn't find a link to the top online, sorry.